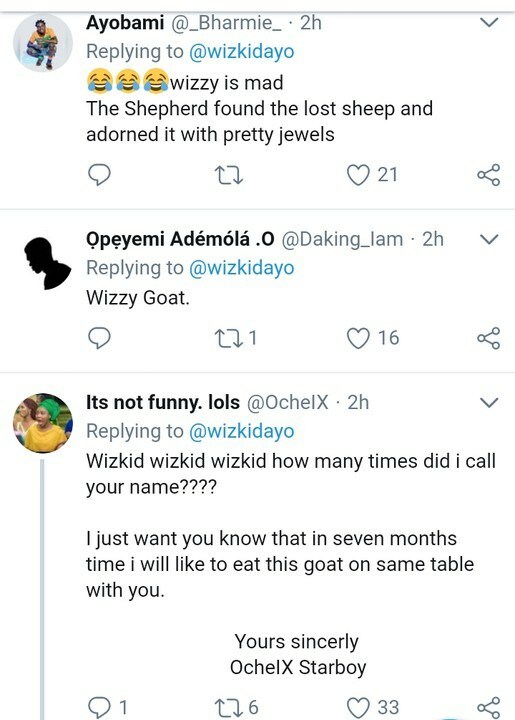 In a time like this, where it seems that the country is close to being dominated by lower animals as some have proven to be rather smarter than some of us, after mysteriously copping away a humongous amount of money recently, Nigerian singer, Wizkid has decided to make one his domestic pet. 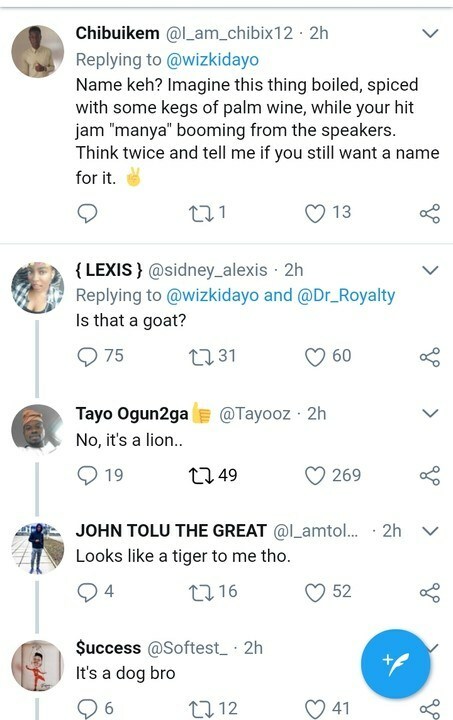 The singer showed off his new and rather weird pet – a kid – on social media and everyone has been left to think… What kinda sorcery is this?! 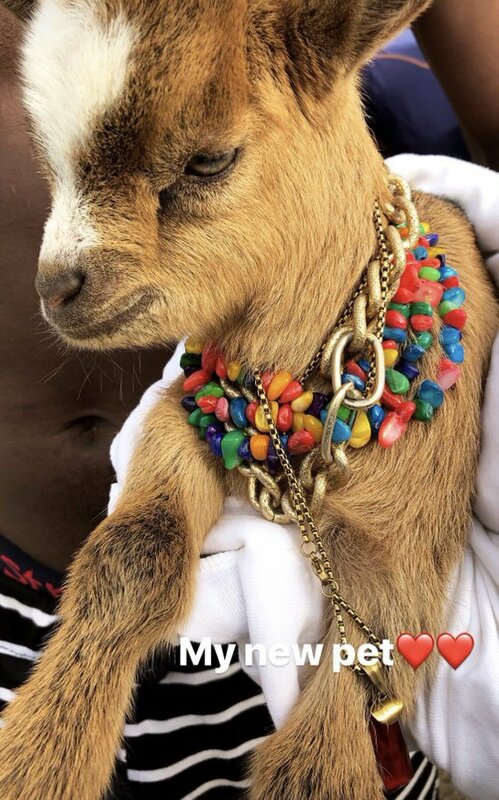 He adorned the animal – that most Nigerians will breed to become the centre of attraction in their peppersoup – with nice jewels and asks his fans to welcome it to his family. He also gave his fans the liberty of giving it a name… Do you have a name for it? Mercy Johnson-Okojie reveals her biggest fear in life. 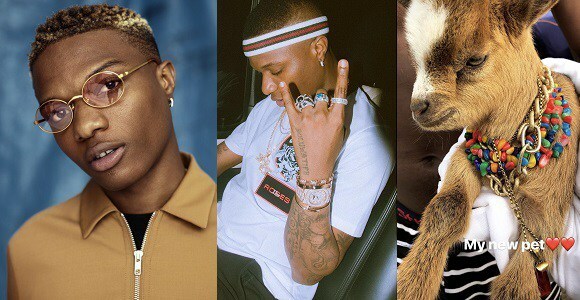 #MTVBaseHottestNaijaTracks: N6 shades Chocolate City again!